Sacred touch - a key practice for directing healing energy to the areas where it is most needed. How do many people go to the doctor feeling sick or out of balance, only to come away with no answers about what's wrong? 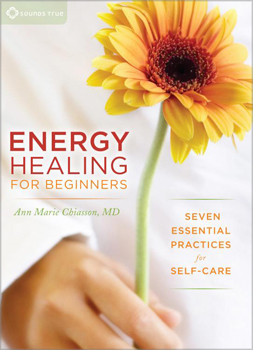 "Physicians have been taught to look at problems from only the physical level," explains Dr. Ann Marie Chiasson, "but the solutions are often found in our energetic anatomy." Energy Healing for Beginners provides simple and potent practices to improve your vitality, strengthen your immune system, and take charge of your health.